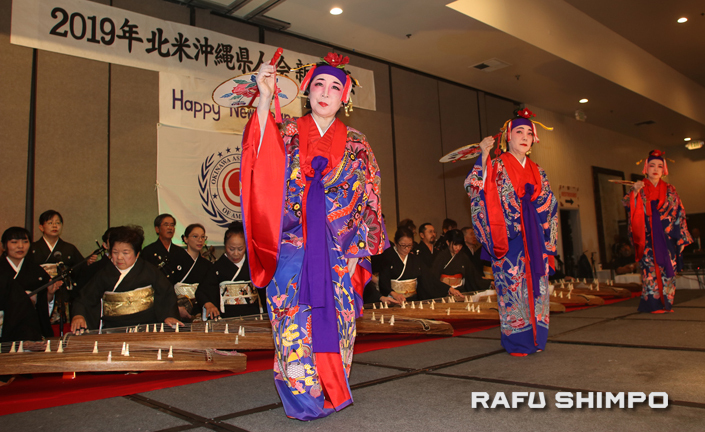 Hiroko Ikemiya and Chiemi Kinjo of Miyagi Ryu Nosho Kai perform an opening dance accompanied by sanshin and koto players at the Okinawa Association of America’s annual New Year’s party on Jan. 20 in Montebello. 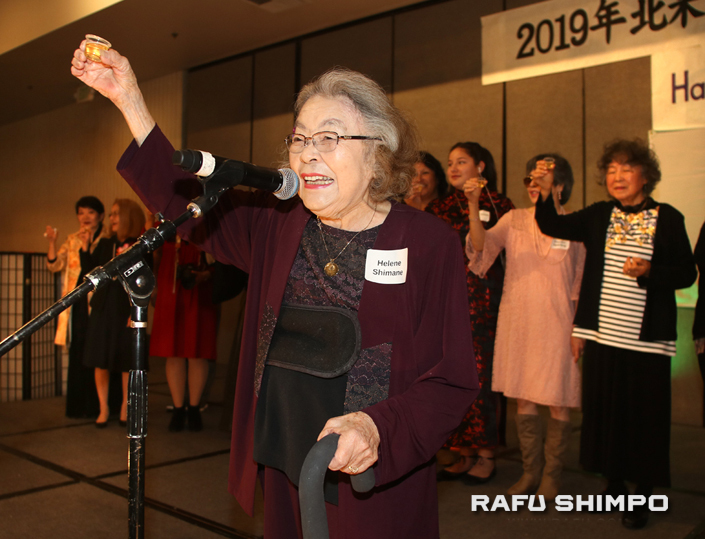 OAA celebrated the Year of the Boar with a toast led by Helene Shimane and fellow members with boar birthdays. Joe Yamagawa, an active OAA member since the 1930s, was honored with a special Legacy Award. 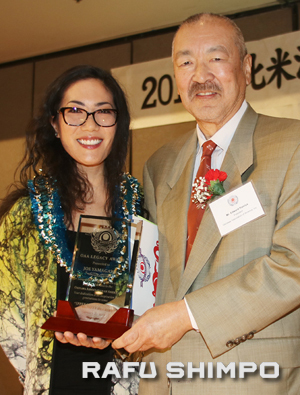 He served on the OAA Scholarship Committee for nearly 50 years and, as a longtime member of the History Committee, was responsible for the publication of the Japanese and English versions of OAA’s first history Book, “Hokubei Okinawa-jin Shi (History of Okinawans in North America).” Right: Granddaughter Taryn Tatara accepted the honor on his behalf from Edward Kamiya, OAA president. Upcoming OAA events include an Okinawan concert, “Utayabira, Wuduyabira (Let’s Sing, Let’s Dance),” on May 19 at the James Armstrong Theatre in Torrance. For more information, call (310) 532-1929 or visit www.oaamensore.org.